My Pawpaw Hamrick passed away yesterday. I shared with y’all recently about how he’d been ill. I think after a lifetime of overcoming the odds–getting married and becoming a father at a young age, losing the use of his legs while he still had teenagers in the house, seeing his home destroyed once by fire and once by flood–we all thought he was invincible. But over the past week it became clear that his time had come and I’m comforted by the fact that he was allowed to leave the hospital and spend his final hours at home. The same day that he went home, my Pawpaw Gulley (who had been staying with me for two weeks) moved into his new apartment. We were very close when I was growing up but I haven’t kept in touch as diligently as I should have these past eight years that he lived in Amarillo. 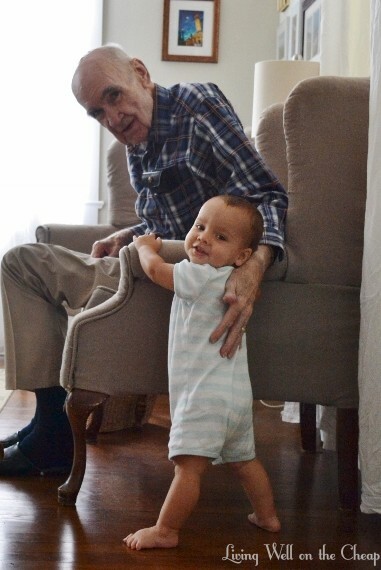 It was so great to reconnect with him and for him to get to know Jack. We got so used to having him here that the house feels empty with him gone. It’s been an emotional and tiring week. The older I get the more important family is to me, which is a big part of why I’m actually looking forward to moving closer to home in a few years. I never thought I would want to go back but here I am, wanting to be closer than an hour’s drive from my parents and grandparents as they get older. We’ve only got so much time on this earth, might as well spend it with the ones we love. Thanks for reading, y’all, and for always being so supportive and kind. I am so lucky to have so many wonderful people in my life, even if many of you I’ve never met. 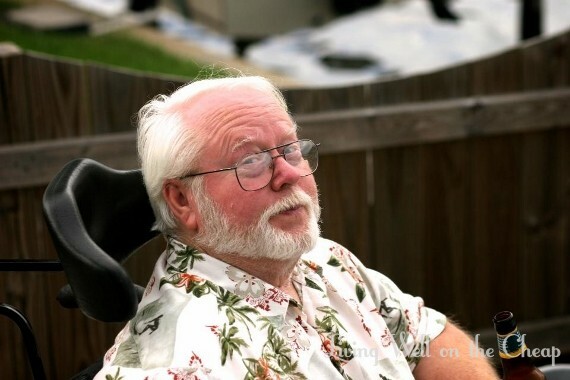 I’m sorry to hear about your Pawpaw passing away, I think this blog as well as the previous one have been a really cool way to remember both of your Pawpaws. And I LOVE that picture of your Pawpaw Gulley and Jack! Thank you, Sarah. And I love that photo too! I’m so sorry to hear about your PawPaw Charlotte. My thoughts are with you and your family in this difficult time. So sorry about your Grandpa, my Uncle Jerry. I know how strong the Hamrick family is and I know that all of you will pull together and support each other. I continue to pray for all. I understand that as we grow up, your family becomes more important to you. The bond is realized after marriage and having one of your own. Cherish the time you have had with both of your PawPaws. My prayers are with you. Thank you, Janet. I hope I get to meet you someday. You are so kind and always know just what to say! I’m so sorry for your loss, Charlotte. It sounds like your Pawpaw Hamrick had a rich, full life, despite a lot of challenges. All the best to you and your family as you remember him together. Thank you, Val! You are so right. He lived a very full and happy life. Charlotte- so sorry for your loss. cousin took. He has a twinkle in his eye! That photo captures him perfectly! Thank you so much for your kind words.